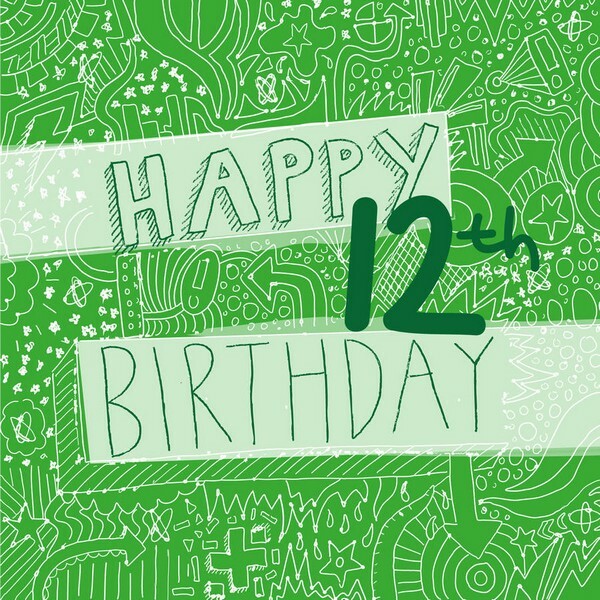 If you knew someone who is celebrating his or her 12th birthday, then it would be great to send them special wishes on this special day. They might still be young to appreciate it, but it sure is such a nice gesture. 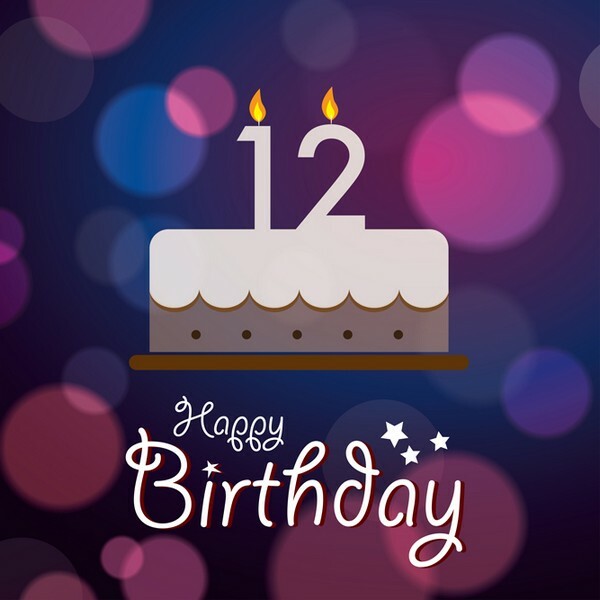 To help you in coming up with the best message or wish to send, here are happy 12th birthday messages that you can take inspiration from. Here are twelve cheers for you. Now that you are 12, make sure that you enjoy every second of this special age. Happy birthday big boy! Now that you are 12, you’re now finally cool enough to hang out with the big boys in town, enjoy your day! Someone so special like you truly deserves a grand celebration on this special day of yours… happy birthday! There are certainly lots of great things that come in 12 – months in a year, hours in a clock, a dozen eggs, zodiac signs and roses! Most importantly… YOU! Happy 12th birthday my dearest son… May you see life through the eyes of a child but with the heart of an angel. On my 12th birthday, someone has shared to me a very important saying that I also want to share with you… May you have a very happy 12th birthday! I have never been this excited about your birthday. Happy 12th birthday my little boy! Happy birthday to you my dearest son, somehow you barely look older than an eleven year old kid. But it’s a great thing that your maturity has made up for your youthful looks. Hey, happy birthday! One more year and you will be a real teenager. Happy twelfth birthday! You are not a big girl, but you are a young woman. I love you for just the way you are today and whatever you will become. Happy twelfth birthday to you! I hope that you will feel very special today. After all, it is not every day that you celebrate your birthday. Happy birthday to you. At your age of 12, you are now old enough to have a blast on your birthday, yet, you are still too young and broke to be in a real trouble, so be very careful! Turning 12 is truly a rocking age. So gather all your friends together, jump around, sing, dance and do a rock n roll! Happy twelfth birthday, big boy! You truly made me incredibly happy ever since you were born. This day, I am planning to make your day to become even more special and happy. Happy birthday my baby girl. You may be a grownup now, but for me, you are still that cute baby girl I know. 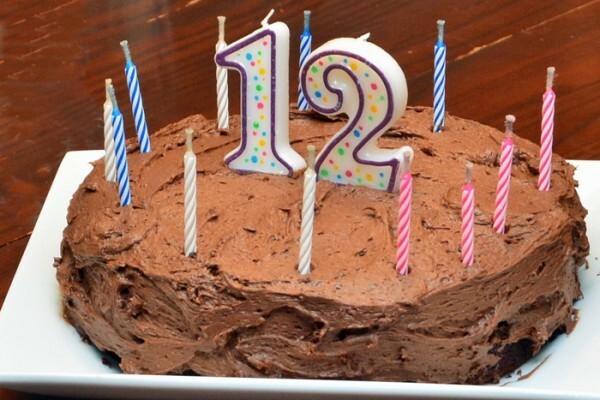 You only turn 12 once in your lifetime, so you have to make the most of this special day. Happy birthday! 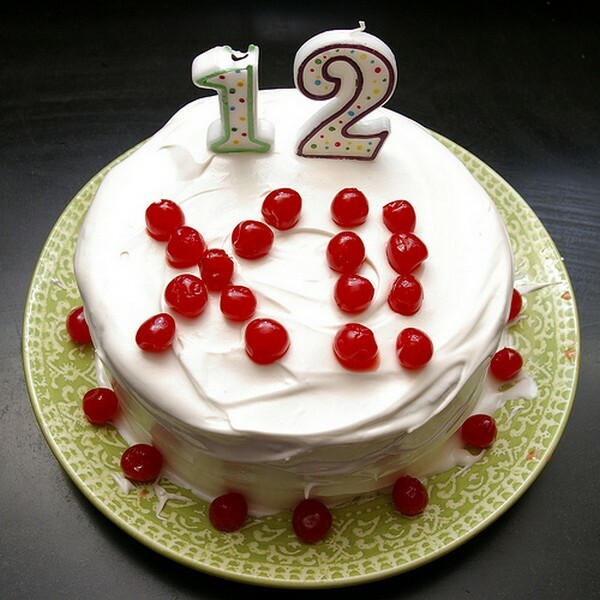 Happy 12th birthday to you! You now have all the power in your hands to use it well. Birthdays are like shooting stars for they are spectacular moments in our life where you can make wishes in the blink of an eye. 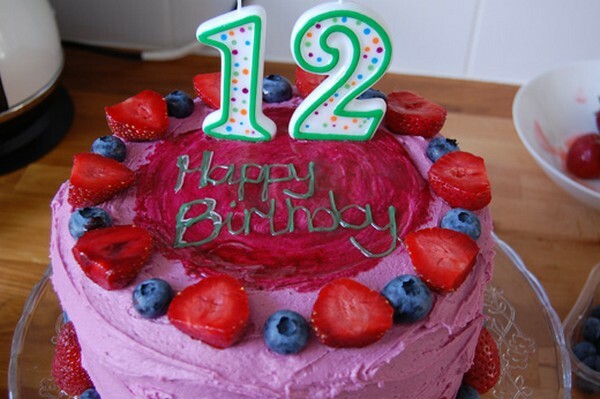 Enjoy this moment, happy 12th birthday to you! Birthdays are so special especially if they result to someone as wonderfully special as you are. Happy twelfth birthday! Happy birthday! I hope your 12th birthday is so special that you will remember each and every wonderful moment until the next one. Happy birthday! Hope that your birthday will be 12 times better than you have ever expected. You truly deserve a grand celebration, so get up and have a blast! You are truly special that your birthday should be a national holiday. I bet all of your friends and family will think so too if they will get a day off school in order to celebrate your special day. Remember that the older you get, the more that I love to celebrate your special day. That is because I love you more and more each day. Happy twelfth birthday to you my little sister. One more year and you will be a teenager, so enjoy being a child this year. Happy birthday my daughter! I can’t believe you have been around for 4382 days now. You really are getting old… enjoy and be happy! Being 12 is truly underrated. Just look at how cool you are! Happy birthday! You are so cool especially now that you are 12. So here are 12 cheers for you… Hip hop hooray on your birthday! Happy 12th birthday! You are so special to me. Someday, you will be famous. Perhaps, you will become a successful soccer player or a fire fighter. Whatever the future holds, always remember that we are here for you, now and forever. Happy 12th birthday my dearest baby boy! Happy 12th birthday my darling little princess. Just like a celebrity, I wish that I could step into your shoes just for today because you are going to be treated just like a princess for you truly deserve only the best! Have a magical 12th birthday to you. Today will be a great day as you blow your 12 candles, gobble down lots of cake and open as many gifts as you can. Twelve wishes come true on each candle you blow. If 12 are just too much of a number, then I will send you some of my wishes. May you have a joyful 12th birthday to you, my dear! The number 12 stands for a dozen roses and twelve months in a year. Now that you are 12, you will finally join that club with twelve years in your life. Happy birthday to you kiddo! You deserve to have the biggest party ever. Remember, you only turn 12 once in a lifetime. Happy 12th birthday. May your twelfth year be as great as the previous years in your life! Happy birthday! The more you praise and celebrate life, the more that there is in your life worth celebrating for. May your 12th birthday be as great as you are! Take some time to enjoy this year of your life for it is absolutely amazing. Happy 12th birthday to you my son! I cannot believe how fast time flies! It’s your twelfth birthday, so enjoy and have a blast! Birthday wishes for an amazing kid. 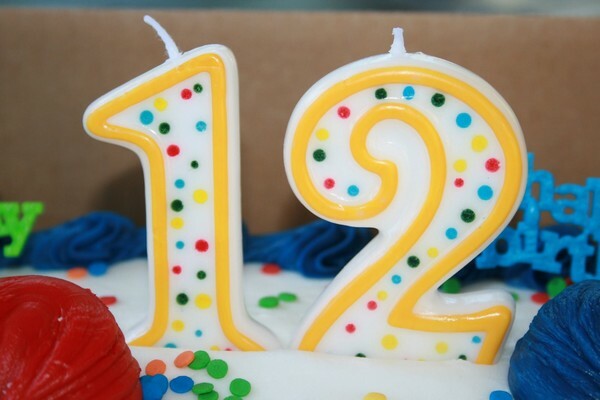 Happy 12th birthday to you… Next year, you will be on your teens, so enjoy being young and active. Terrific, wacky, enthusiastic, loyal, versatile and entertaining… that spells TWELVE and that spells you as well! Happy birthday! Each and every candle that you blow will make a wish come true. Happy 12th birthday to you! Happy twelfth birthday! It seems just like yesterday that you were only eleven. If I had to guess your age, I will never think that you are 12. I will think that you are about 144 months old. Happy 12th birthday! Hey! I just want to wish you a very happy 12th birthday! 12 can be a tough age. This year might be the time that you have to deal with bullies, strict parents and even puberty. But don’t worry, for the best thing is that you are growing up in the age of the Internet. Happy birthday! Happy birthday! Here’s wishing that all of your dreams and wishes will come through on your birthday. Don’t ever forget to have a blast! Happy twelfth birthday! My wish is for all your birthday wishes to come true! It seems just like yesterday that you were a year younger. Slow down… don’t grow up too fast, my little one! Happy birthday! Your birthday marks the beginning of a wonderful year in a person’s life. So let’s celebrate and have a blast! Happy twelfth birthday! 24 hours does not seem like a long enough time to be celebrating your birthday. Happy 12th birthday to you, my dearest nephew. Are you really sure you are older? You never look any older than you were several years ago! Since it is your birthday, you can definitely do anything that you want, for as long as you act your age… happy twelfth birthday to you! I would want to wish you a very happy 12th birthday, but I would rather demand it, happy birthday! In my opinion, your birthday is truly a great reason to celebrate. I have celebrated less important occasions! Just think what it would be like if you were not born in our family. You will be out of space by now for sure, happy twelfth birthday my little brother! You might not be able to change your age, but you can always change the color of your hair. Happy 12th birthday! Even though you will be getting a year older today, you are still that cute baby boy I know. This is the reason why I will always treat you as my baby. Keep aging just like a fine wine, young boy… And make sure that you enjoy your 12th birthday. Each year that you find yourself alive is enough reason to celebrate. That is what makes birthdays to become even more special. Your life has been such a great blessing to a lot of people. Indeed, your birthday is a great reason to celebrate. It is hard to believe that you are going to be a teenager next year! I hope that your birthday is one that is extra special. I hope that you enjoy the upcoming year as you work toward becoming a teenager and growing up a little more. Happy 12th birthday to someone who should receive everything that they want on this special day and every day of the year. You are growing up a little more each day and I hope that you are celebrated on this, your 12th birthday! When you turn 12, you get a little closer to being a teenager and then a grownup… I hope that your day is extra special. I hope that your 12th birthday is the kind of birthday that you will remember for all of your life. I hope that you are surrounded with all of those people who mean the most to you on this, your 12th birthday! You deserve to have a birthday that is filled with all kinds of fun and I hope that your 12th birthday is a special one. I hope that you know just how much you are loved as you celebrate your 12th birthday with those who care about you. May your 12th birthday be one that makes you laugh, and may you receive all of the gifts that you have been hoping to get. May you enjoy time with family on your 12th birthday and may you enjoy every moment of this special day. Today is all about you and I hope that you feel as if everyone is celebrating you on this 12th birthday. Happy 12th birthday to someone who is always looking out for those around them and giving to those in need. Happy 12th birthday to someone who is getting taller and a little more mature every single day.